Exploring for porphyry copper deposits requires the accurate identification of pathfinder carbonate minerals. With an oreXpress spectrometer with EZ-ID and the USGS and optional SPECMin and GeoSPEC libraries, geologists can identify typical pathfinder minerals such as illite, azurite, and malachite, create a mineral map for the project area, and set up a cost-effective drilling plan for ongoing exploration. 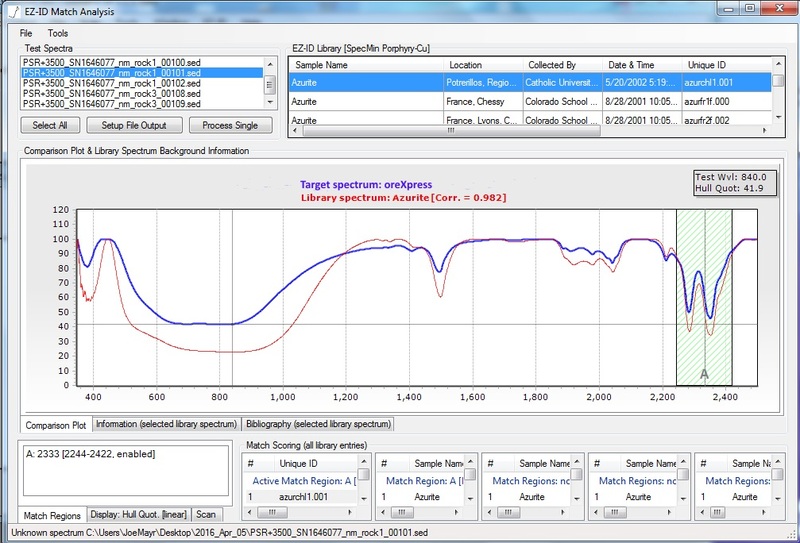 The oreXpress is a rugged geological spectrometer designed for field use. 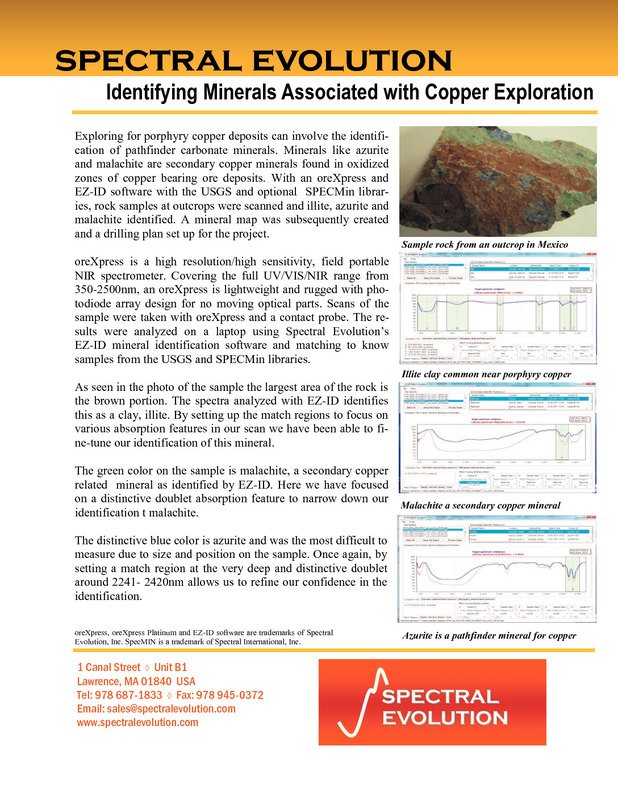 In exploring for porphyry copper, samples indicated the presence of minerals that are related to copper deposits. 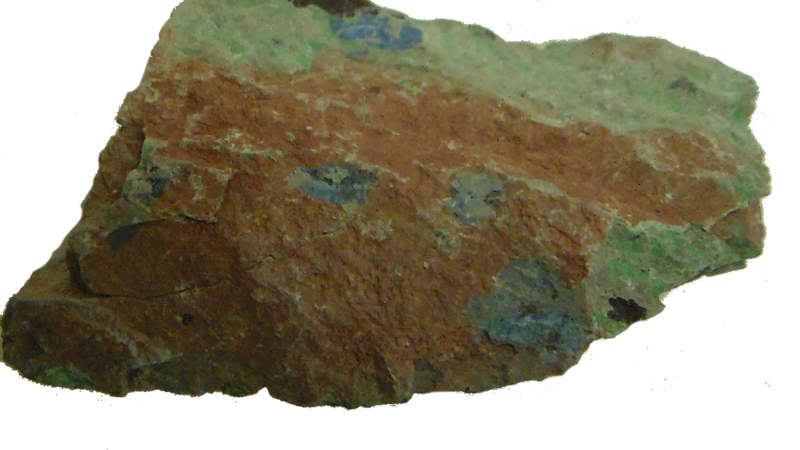 Using EZ-ID, illite, azurite, and malachite were identified in samples from outcrops. The data from this analysis can be used to create a mineral map for the project area and decide on spots for drilling that have the most potential. 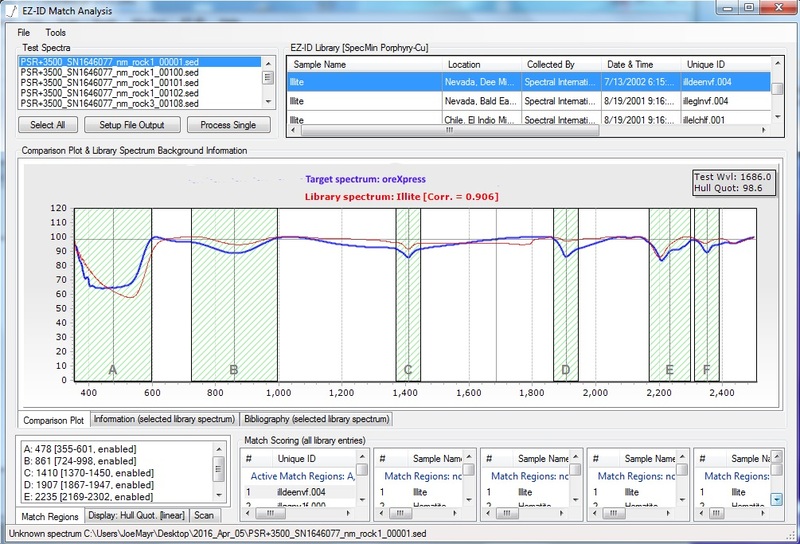 The oreXpress software interface (DARWin SP Data Acquisition software) saves all files as ASCII for use with other software packages in addition to our EZ-ID software. These ASCII files are easy to import into software for 3D modeling, mine mapping and more. The EZ-ID screens showing the identification of illite, azurite, and malachite in our samples. 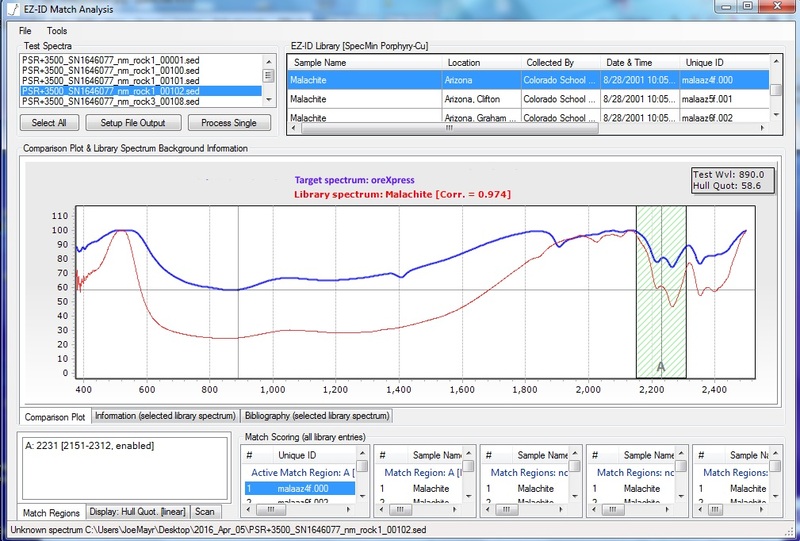 The shaded regions in the screens are match regions that were user-selected to focus on key absorption features for better identification of the different minerals mixed in the sample.